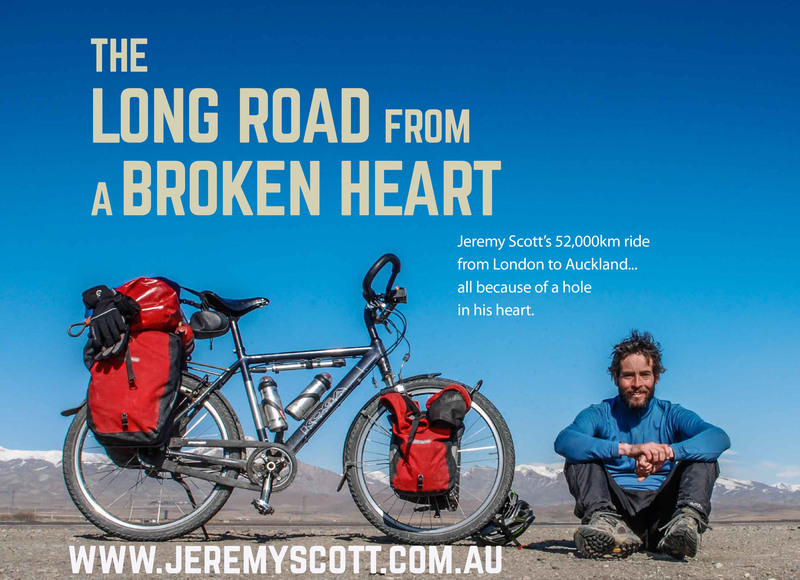 Come along to an author talk by brilliant Kiwi cyclist and photographer Jeremy Scott. Location: Ground Floor at Wellington Central Library, 65 Victoria Street. “Major open heart surgery as a four-year-old child taught Jeremy that life was precious and something to cherish. He began to see life as a rollercoaster ride, filled with challenges and experiences. 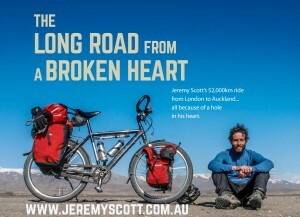 On the 5th October 2011, Jeremy began a challenge that was of his own design, a journey that was many years in the planning; a 2 ½ year, 51,916km unsupported bicycle ride from London to New Zealand. As he pedalled his way around the planet he accumulated more than enough kilometres to circumnavigate the earth. At the conclusion of this phenomenal journey, Jeremy wrote the highly successful book ‘The Long Road From a Broken Heart’. It is not only a story about life in the saddle, it is a story about the beautiful side of humanity and an example of what someone can achieve if they believe in themselves and have the courage to chase their dreams.” (Author biography). Copies of the book will be available for purchase, which he will be happy to sign after the talk.